You are currently browsing the Pet Auto Safety weblog archives for April, 2011. Look no further. This net is durable, easy, inexpensive, easy to hook anywhere and very easy to remove, you just unhook! There are no fussy bars that move, bend, break, or are a hassle to remove out of the car. Easier than moving a kennel in and out. I can’t say enough about this product. But the most wonderful part of The Pet Net is the best customer service! In a day and age where great customer service is on the decline, the owner included a thank you, and a personal business card with my receipt and order. It came 4 days before I was expecting it too! I have the larger net for my dogs but it also comes in a smaller size. THE BEST! THANK YOU! Just wanted to let you know how much we and our dogs LOVE the Pet Net! It was a great success on our recent road trip. It was so easy to install, and it freed up a lot of room in the back of our minivan, unlike our previous metal pole pet barrier which took up a lot of floor space. It also allowed for much clearer visibility when driving; the other barriers sometimes produced unsafe blind spots. I think because the Pet Net is so lightweight and unobtrusive, the dogs didn’t feel as if they were cut off from us, and yet they still respected the Net. Thanks again for such a great product! Dexter and Lena give your net 4 paws up!!! There are two sizes of the Pet Net car barrier – Standard and Large. Join us on Sunday, May 1st at Zona Rosa in Kansas City, Missouri for Woofstock. Woofstock is a fun pet event held to support the Northland Animal Welfare Society. Join the 5k walk/run with your dog. Get exercise, have fun, and support homeless animals all at the same time. Then enjoy live music, win great prizes in the raffle, watch a dog fashion show, or enjoy demonstrations with agility dogs and search and rescue dogs. There will also be several pet vendors selling their pet wares. We will be there too for our pet auto safety supplies and dog and cat figurines. Look for the Pet Auto Safety.com booth. Other vendors include Three Dog Bakery, Bow Wow Wow Pet Gifts, The Dog Spot, and more! For more information visit the Northland Animal Welfare Society (NAWS) website. Maya says to have a safe and happy Easter! Drive safe and wear your dog seat belt. A few years ago, I got into a car accident. It was Thursday afternoon, the day before Good Friday. My boss let us off early for the upcoming holiday. Little good did that do since everyone else’s boss did the same thing. Traffic was a mess. While traveling about 30mph on the highway, an SUV suddenly decided to come into my lane right where my car was. I didn’t have time to stop and he hit my car. Thankfully, it wasn’t a bad accident. My airbags didn’t deploy, my car wasn’t forced off the road or into another car, and no one was hurt. We were even able to move our vehicles off the roadway. But what if my dogs had been in the car? What if they weren’t wearing their dog car harnesses? The accident was not that bad for me, but I had been wearing my seat belt. At 30mph without a seat belt, I would have been tossed a bit. Sephi and Maya standing up in the seat without wearing dog car harnesses would have been tossed a bit more. They could have been tossed into the back of the seat. If they went face first, they would have ended up with a serious and painful injury to their noses. If they went sideways, they could have gotten tossed onto the floor and broken a leg. If they had their heads out the window at the time, they could have gotten a serious throat injury. If there were smaller dogs and had their heads out the window, they could have been thrown out onto the street and run over. Needless to say, when we left for Texas on Good Friday morning, Sephi and Maya wore their dog car harnesses. And they wear them every time they ride in the car. I am not taking any chances with my girls. USPS is raising their prices AGAIN! Other shipping companies are as well. It is probably due to the poor economy and the rising cost of gasoline. USPS costs are going up only slightly but I that is the second time this year. If it seems that the shipping costs on Pet Auto Safety.com are high, this is why. But some websites don’t charge shipping at all, you say. They do, but the cost is built into the cost of the product. Or you could have the opposite effect on ebay where you are lured in with the low cost of the product but hit with a horrendous overinflated shipping cost. Pet Auto Safety.com does neither of those things. Our shipping cost is as close to the approximate cost to ship as we can get it. So if the $29.99 hammock says $10 shipping, then it costs us about $10 to ship. However, sometimes when multiple items are purchased the Pet Auto Safety.com website inflates the shipping – sometimes. If that is the case, we refund the difference. For example, if you order two Pet Buckle dog seat belts, the website will charge you $20 (apx $10 each to ship). However, since we can ship two Pet Buckle dog seat belts in one medium flat rate box with the post office for just over $10, we generally refund $10 of the $20 charged by the site. If you purchase from Pet Auto Safety.com, don’t be surprised with the shipping. We promise, you are not being cheated. With rising gas costs, shipping costs are going up all around. And if our site overcharges you, we will refund the difference. (Sephi and Maya are wearing their dog car seat belts in this photo. Today I want to blog about a fun topic which I could go on and on about – my dogs Sephi and Maya. Everyone I know knows that I love Sephi and Maya. I always have an interesting Sephi or Maya story waiting to tell – how Maya turned herself pink, how Sephi saved me from an intruder, and more. But today’s story is a little more mundane. Like most dogs, Sephi and Maya love to ride in the car. And they do nothing out of the ordinary when they get in the car. Maya whines excitedly for the first 10 minutes and Sephi likes to sniff out the window. Nothing interesting, right? But what is extraordinary is how they ride in the car. You’ve seen people with their dogs in the car and most if the time they are not restrained and they have their heads hanging out the window. I use the BreezeGuard Window Screens made by Mutt Mangers so that Sephi and Maya can’t stick their heads out and I make them wear their dog car seat belts. On short trips, Sephi and Maya stand up and catch the breeze. On long trips, they eventually lie down and go to sleep. They mostly keep to their prospective sides. But on occasion, especially on those long trips, they switch places and get the tethers of their dog car seat belts twisted together. Not to worry, they are still safe. While the story about them riding in the car is a bit boring, the places we go are exciting. The people at the bank drive-through always have treats handy, the dog park is super fun, and going to visit family is even more exciting. (A trip to the vet is not so exciting but thankfully we don’t have to do that very often.) If you want to hear an interesting dog car ride story, you should hear about a dog I had years ago named Huckleberry who jumped out the car window to chase cows! Luckily, the incident just left him a litte stunned. Too bad the BreezeGuard Window Screens made by Mutt Mangers weren’t inveted yet. Where do you take your dogs? Do your dogs wear dog car seat belts or use other pet auto safety devices? If you are looking for just a basic dog car seat cover, we are glad to let you know that the Guardian Gear Classic Dog Car Seat Cover is back. The material is slightly different and it comes in Khaki now too. But otherwise, it is the same affordable style. The material is polyester woven into a tight canvas-like weave. This weave makes it difficult for dog hair to get embedded into it. Best of all, the dog car seat cover has slots for the seat belt so that your dog can wear his dog car harness. This way, your dog is safe in the car and the dog car seat cover keeps your car safe from the dog! Welcome to the Saturday Pet Blogger Hop! Visit some great dog blogs for great pet tips and funny stories. Spring is finally here! Pack up your car and take a fun and well deserved vacation to the Lake of the Ozarks. There is swimming, hiking, boating, and more fun to be had in this scenic area of Missouri. Don’t leave your dog at home. He too can enjoy hiking the mountainous trails, swimming it the cool lake, or taking a ride on a boat. So pack up your car with both you and your dog’s things and go! Don’t forget your dog’s dog car harness. It may be a long drive so you want him to be safe. On my first trip to the Ozarks, it was me and Sephi. Although Sephi does not have a big love for the outdoors, she did have a good time camping and hiking. The Lake of the Ozarks has two big state parks to visit. There is the Ha Ha Tonka State Park and the Lake of the Ozarks State Park. Both allow leashed dogs. There are plenty of pet friendly campgrounds, a few pet friendly hotels and vacation rentals, and lots of RV parks. If you are tired from a day of hiking and swimming, visit the Bridal Cave and Thunder Mountain Park. Dogs are allowed in the park area but only small dogs which can be carried are allowed in the cave. A few restaurants will allow you to have your dog on the patio area. Check with Backwater Jack’s and Miller’s Landing before you bring your dog just to make sure. 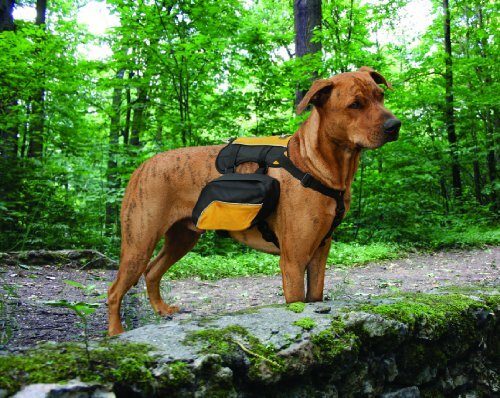 No matter where you travel with your dog this spring, be sure he is wearing his dog car harness. Check places before you visit to make sure your dog is allowed. If your dog goes on a boat, make sure he wears a dog life vest. And have a ball! Spring means more time spent outdoors. It also means more vacations and traveling with your dog. If you are taking your dog with you when you travel, don’t forget a few important rules. First of all, make sure you practice pet auto safety. Practicing pet auto safety means having your dog wear his dog car harness or putting him in his crate then strapping the crate in with kennel restraints. A small dog can also be strapped into his dog car seat. Unless you are at a dog park, be sure your dog is always on a leash. Keep him under control at all times. Not only do you want to keep him from bothering other people or dogs, but you also want to make sure that he doesn’t get loose and get into danger. Other people or dogs could be a danger. So could cars on the road, discarded items which your dog may try to put in his mouth and eat, and getting lost. Never leave your dog alone in the car, even if the windows are down. Even if the windows are down and it is cool outside, your car traps heat. If you travel with your dog, take him with you when you go out or make sure an adult stays with your dog in the car. If taking your dog into public places, make sure dogs are allowed. Rest stops, for example only allow dogs in certain areas. Most public buildings will not allow dogs at all. And some outdoor recreational areas don’t allow dogs either. Even many outdoor botanical gardens do not allow dogs. Most importantly, pick up after your dog. Do not leave your dog’s waste around for other people to step in. Even if you are at a dog park or if you notice other people have not picked up after their pets. More and more places are allowing dogs, but it is only with the effort of responsible pet owners who keep their dogs under control and pick up after their pets. Get more detailed information on rules to remember when traveling with your dog at Pet Auto Safety.com.